Summary: The Boston tax practice at Cooley received a new member with William Corcoran joining as a partner from Osler, Hoskin & Harcourt. 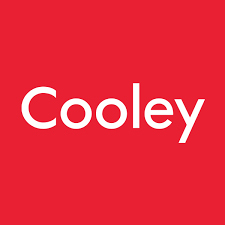 The year 2017 is turning out to be a good year for Cooley. The law firm has added a second partner for the year in Boston, which is celebrating its tenth year and has grown to over 120 lawyers and staff. William Corcoran is joining the firm’s Boston office as a partner in the tax practice. He joins from Osler, Hoskin & Harcourt. Corcoran will focus on federal and state income tax consequences of corporate and partnership mergers and divisions. This includes working on leveraged buyout, mezzanine, venture capital, and other alternative investments sources. He works with non-US investors through alternative investment vehicles formed for investing in debt, real estate, equity, and infrastructure projects. He received his B.A. from Brandeis University and his J.D. from the University of Chicago. The other new partner in the Boston office was Ryan Sansom last month. He joined from Goodwin.